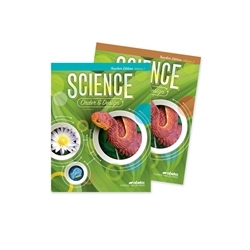 Be a master science teacher with this wonderful teacher’s edition that actually lays flat! Find teaching notes and various examples suggested by our curriculum experts in the margins of this book. Each lesson has been carefully laid out with a lesson guide that will help you from preparing, to teaching, and reviewing the lesson. Follow along with what your students are reading from the text and let this book help you be as effective as you can be in teaching the wonders of God’s creation.